"Watched us on the Million Pound Menu? Want to be part of the experience? Baba G’s are thrilled to announce our Million Pound Menu Popup. 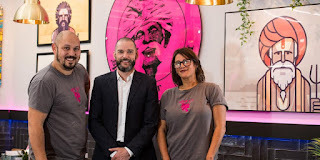 Exciting times for Baba G’s and our new collaboration with Atul Kochhar and Jamie Barber. Alec and Liz would love to share this experience with you. Baba G’s is all about the vibe. Taste, Colour, Aroma with a touch of theatre. We would love you come and try our newly adapted menu. Tweaked by double Michelin starred chef Atul Kochhar in the vibrant Cabana Central St Giles site. Our signature Bhangra burgers with be on the Set Menu alongside some inspired new additions. It will be BIG it will be BOLD and most of all taste amazing! 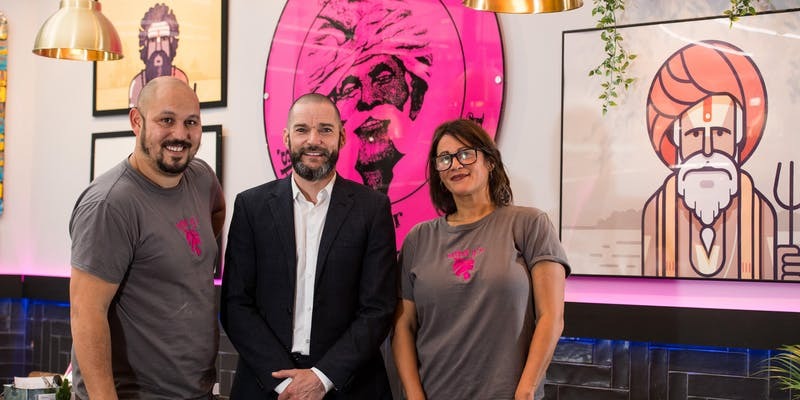 Baba G’s is taking inspiration from southern India to develop exciting vegetarian dishes. We have two lunch sittings and two dinner sittings happenings both Sundays that last for an hour each. Please select your Date and then choose from the ticket options what time you'd like to join us! The Set Menu will be a mix of mains and small plates with a vibrant drinks menu available on the night from Cabana. Please choose your date and time slot from the tickets available, all of which last an hour. Can't wait to see you there!"